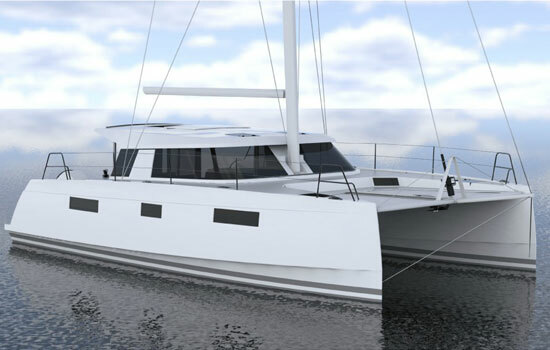 We are delighted to present this Nautitech Open 40 catamaran in with four double cabins. She comes complete with a bimini over the helm position for shade from the Caribbean sun. Nautitech Catamarans was recently purchased by Bavaria Yachts, and the Nautitech Open 40 has a new, innovative design that brings comfortable living and excellent performance together. The Nautitech Open 40 construction is first class, easy to handle, with twin helms on the hulls (with a bimini as standard over the starboard helm and an optional one on the port side), you are driving the boat from a position where you have good visibility forward and aft, and you are able to see all four corners of the boat. GPS Plotter, Autopilot, Wind Instruments, Speed Log, Depth Sounder, VHF, Inverter, Solar Panel. R.I.B. dinghy with 5hp Outboard Engine, Davits, Swimming ladder, Cabin Fans, Radio, Blue Tooth, Electric Fridge, Linen, Towels, Snorkeling gear.. * For full specs, please Click Here.